People specializing in home furnishings, interior design and appliance retail can plan and organize their internal operations with this free, printable business plan. [COMPANY NAME] is based out of [COMPANY NAME] of [CITY], [STATE]. The furniture store was created in 2006 by the owner and one of the current managing members [NAME]. At [COMPANY NAME] they understand your goal of having a warm and inviting home - not just a house. [COMPANY NAME] offers the highest quality furniture, a vast array of styles, and excellent value so that your goal can easily become a reality. The [COMPANY NAME] concept makes furnishing your home easier by offering an enjoyable one-stop shopping experience for all your home furniture and bedding needs. You'll leave [COMPANY NAME] with the confidence that you've purchased the very best merchandise from the industry's leading manufacturers, at the best price possible. The National Retail Federation released its 2010 economic forecast today, projecting retail industry sales (which exclude automobiles, gas stations, and restaurants) will increase 2.5 percent from last year. According to its bi-monthly Retail Sales Outlook, influential economic indicators such as the housing market and employment are beginning to show positive signs, which will bolster consumer confidence throughout the year. Total industry retail sales for 2009 declined 2.5 percent. NRF represents an industry with more than 1.6 million U.S. retail establishments, more than 24 million employees about one in five American workers and 2009 sales of $4.1 trillion. The sales forecast for [COMPANY NAME] is based of the ability of new grant money. These figures are based on the increase in marketing and products that [COMPANY NAME] will gain with the additional grant investment of $523,000. 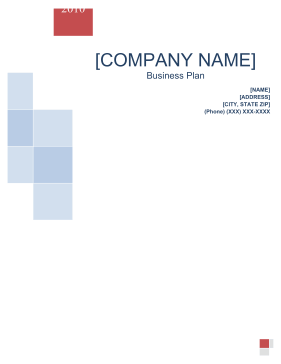 • Gain 30% additional market share in the [COMPANY NAME] community. 1. To create a shopping environment that caters to the apparel needs of the local community. 2. To concentrate efforts on several selected market sectors that have been researched and found promising. 3. To earn 80% market share. 4. To increase our sales revenue by 50% by 2013. Our mission is to provide affordable, high quality furniture. We are committed to our excellent customer service, integrity, and moral obligation to our community.